Boboiboy and his friends Gopal, Ying and Yaya battle aliens trying to steal chocolate-stall owner Adu Du's cocoa beans and hot chocolate recipe to be used as an energy source. we upload everything we cannot regret any show its our duty we will also upload more episode today don't worry we are going to upload many episodes of shin chan in one day only.today we will upload new episodes of doraemon which are airing on disney channel so you can also upload doraemon on youtube. Please Record Chhota Bheem episodes. Have any Facebook page plz? Have you any Facebook page? thanks for your compliment we are trying our best. Harsh the will uplode all the shinchan episodes slowly so you will have to wait. Why you did not reply me? Please try to Upload Chhota Bheem,,, can you please do it? guys I am not afraid of anyone god knows that I am not copying anyones content.if you then also think that we are copier then see tomorrow we will upload boboiboy season 3 episode 17 faster than TAI. CTK I know that you are not copying anyone's content but there will be no boboiboy episode aired today on HUNGAMA as they are only going to air shin chan and selfi with bajrangi today but I know you do not copy anyone's content. If CTK would be copying TAI then CTK whould have uploded boboiboy episode 9 which TAI has but CTK doesent have if CTK would be copying TAI then CTK would have uploded it and even about TAI TAI doesent have boboiboy episode 1 if they were copying CTK then they would have episode 1 as CTK has it so this proves that both are not copying eachother or anyone. www.techkid.ga/2018/04/doraemon-2018-episodes-in-hindi.html?showComment=1522850968087#c8518322368556332815 see this posts comment TAI has commented. yes it will start when beyblade burst will be over. is beyblade burst going to start on hungama? I am only telling that only it will start coming on hungama I think from 30 april. Ok thanks CTK even i was thinking the same as hungama aired boboiboy repeat telecast today so i also thought the same. Once they start airing it kindly uplode the episodes here. this is not fair of hungama they have not completed season 3 yet and are realising boboiboy the movie. Yesterday I saw a promo of BoBoiBoy Season 3 Where It Is Announced That All New Episodes Will Be Uploaded Monday-Thursday 10:30 AM On Hungama TV.So Please Kindly Check The Channel Tomorrow That Time. 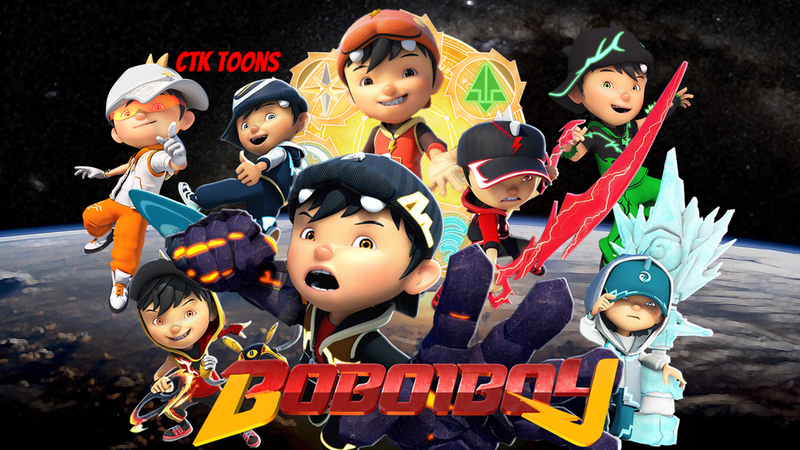 Hey Now BoBoiBoy Airs On Wed-Fri On 10:30pm Ok!